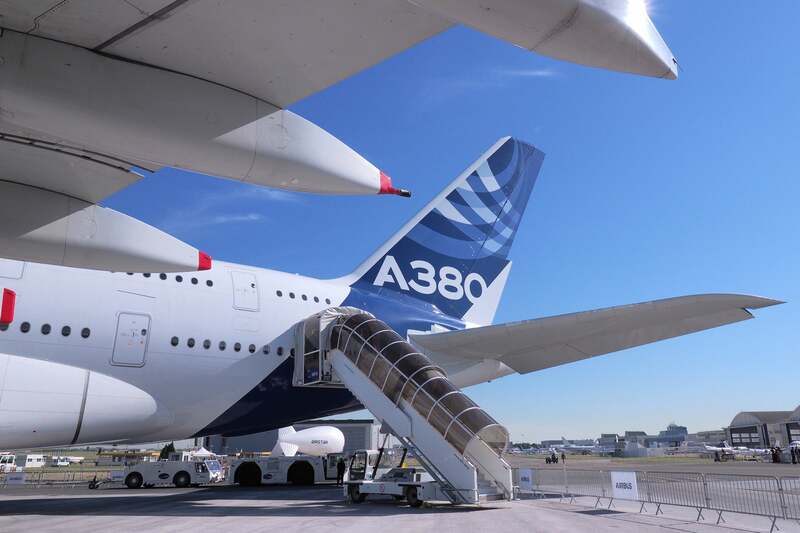 In what would have clearly seemed like an April Fools’ joke had the news been delivered on April 1, one Airbus Paris Air Show announcement at first seemed very real — there was even a modified A380 to match, complete with new winglets and a fresh paint job. 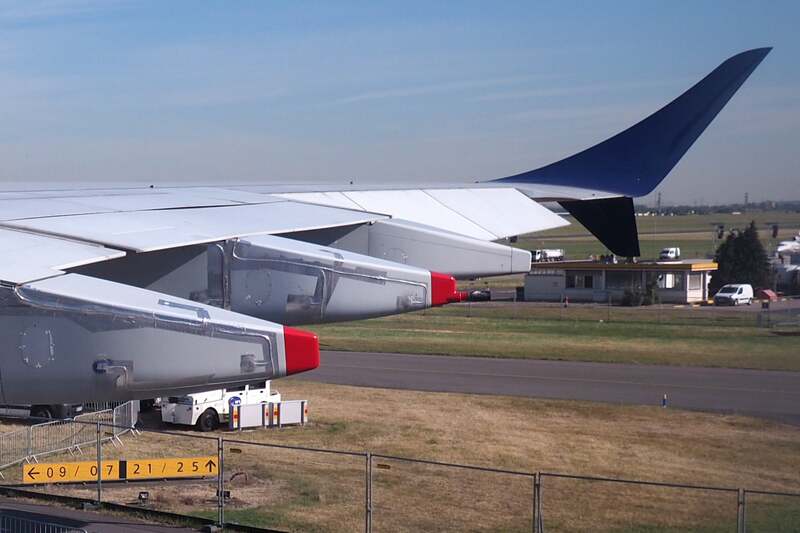 But the A380plus is really just a regular A380, plus some paint and two mocked-up winglets. We were almost fooled. 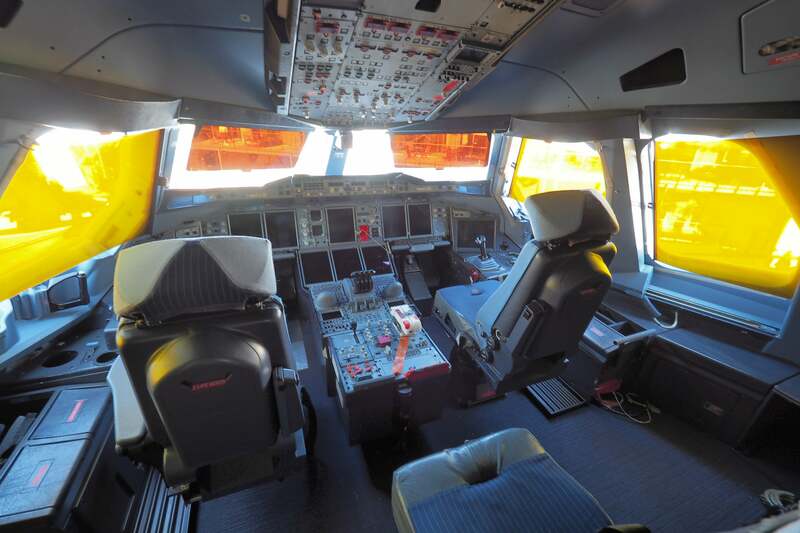 Seeing the charade to completion, I made my way onboard the “A380plus,” which, as I’m now keenly aware, is simply a test aircraft shell. 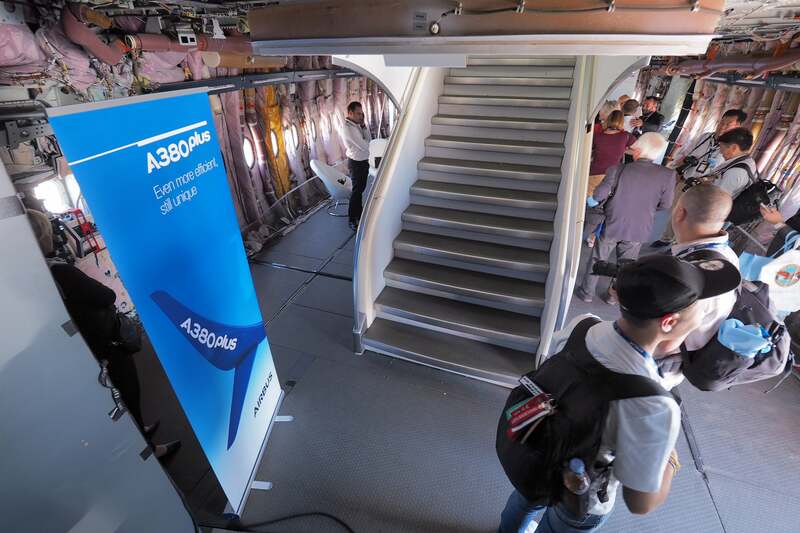 In fact, this particular A380 doesn’t even leave the ground — it was at Le Bourget long before the show and will remain after all the guests (and “real” aircraft) fly away. But I still wanted to see inside. 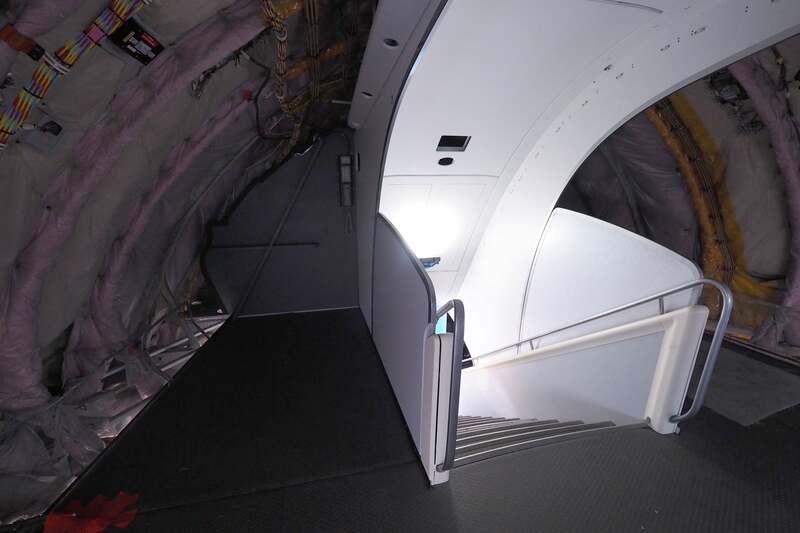 While the “plus” model doesn’t actually give us idea of what the finished product would look like — including 80 additional seats in a 3-5-3 configuration, reduced aisle width and compact staircases — it’s certainly interesting to see a superjumbo in this state. 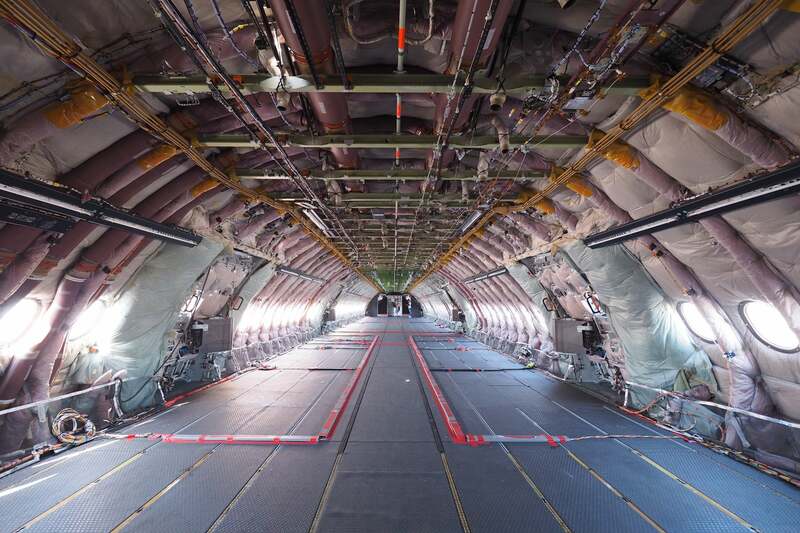 You can get a feel for the empty aircraft in the video walkthrough below. 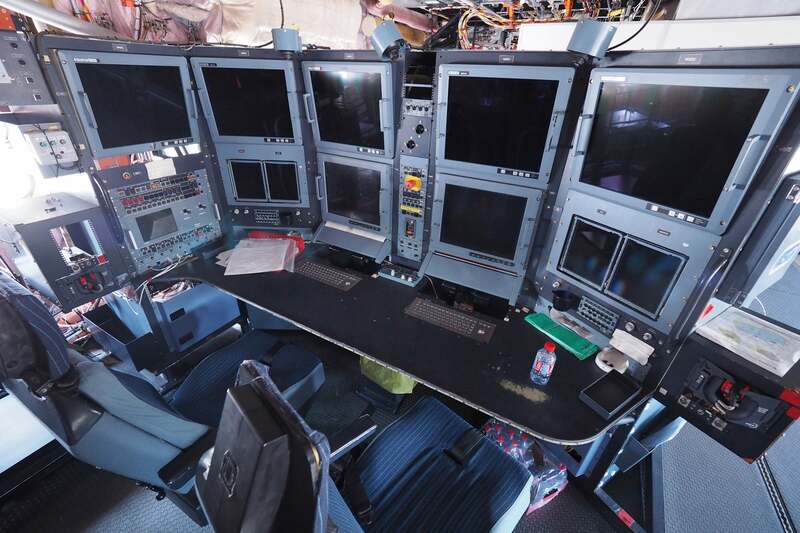 There are a few components inside the plane, such as a cockpit. 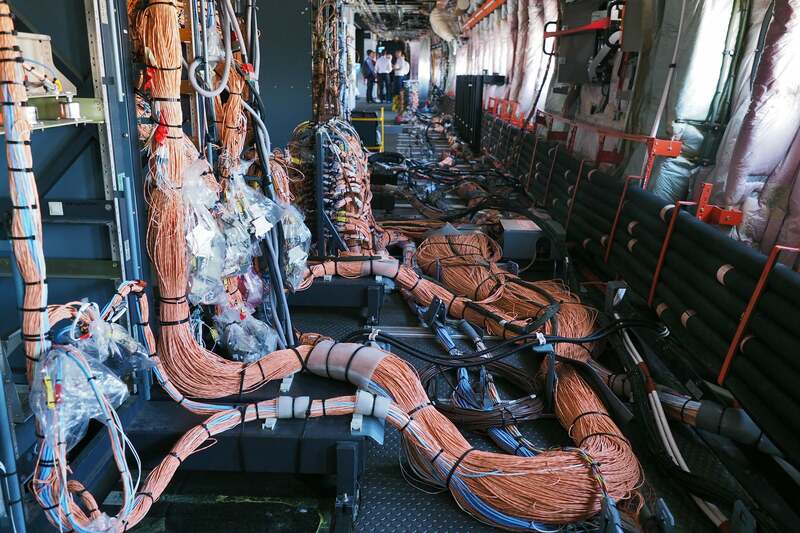 Loads and loads of wires. 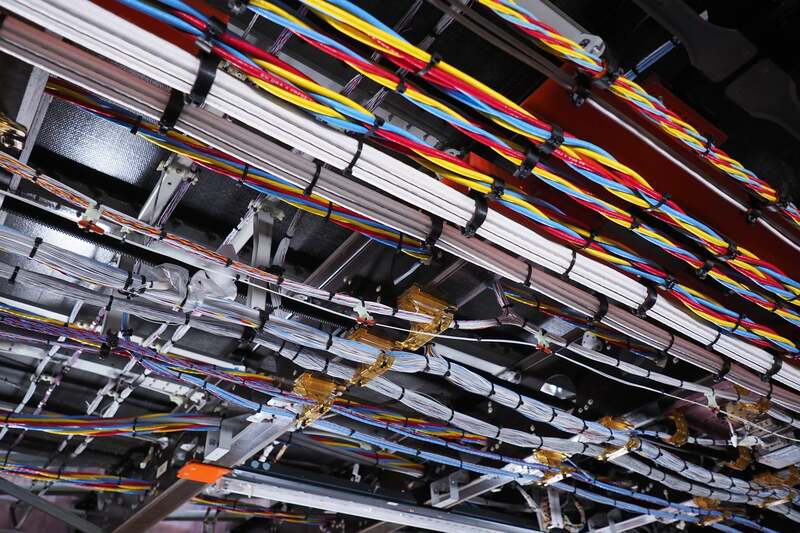 And even more wires overhead. Otherwise, it’s almost entirely bare. For example, this is where you’d find the bedroom for Etihad’s Residence (see TPG’s full review here). 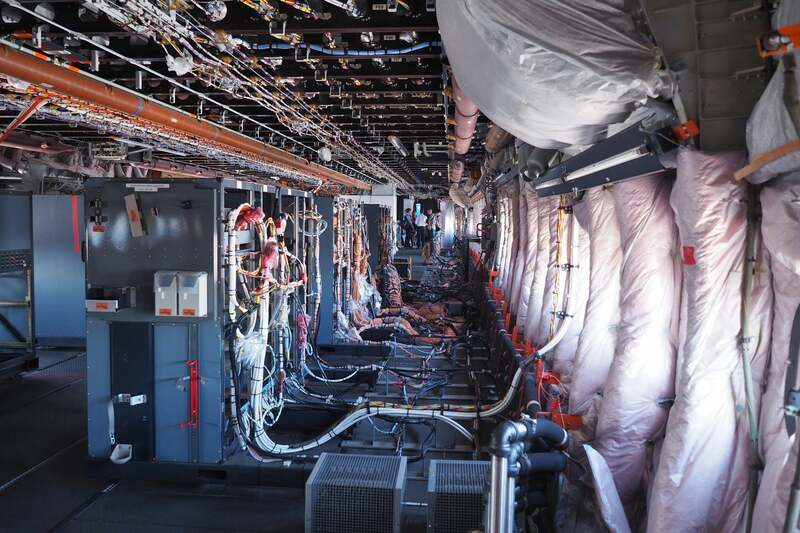 And here’s where you’d find a couple hundred economy seats, or several dozen first and business-class seats, depending on the airline. The staircases were just about the only components that were fully intact, though the rear spiral staircase (to be replaced on the plus) was very rickety. 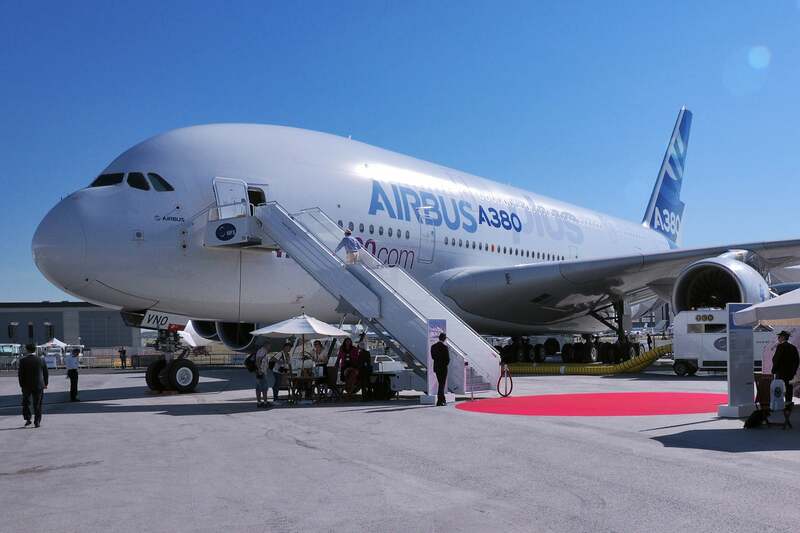 So what’s next for this particular A380? 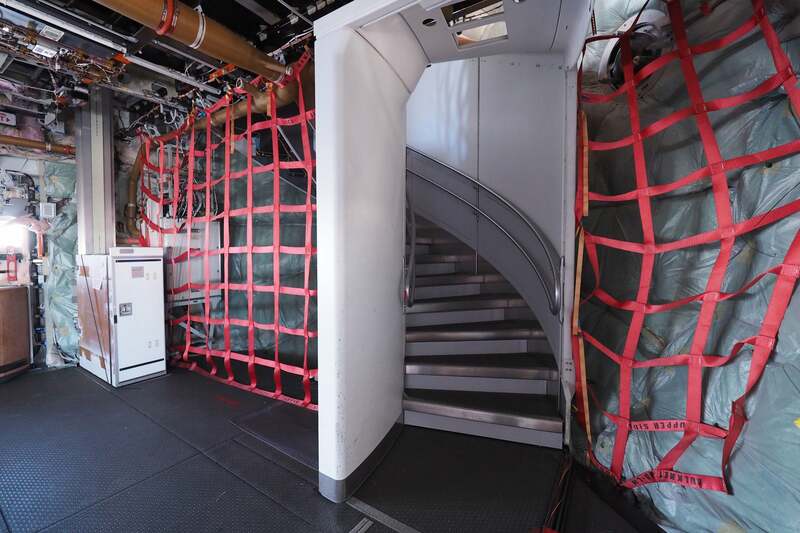 Well, it may never fly again — it arrived at Le Bourget early this year and is now a fixture of the airport’s Air and Space Museum. As for the A380plus, only time (and perhaps Emirates) will tell. For now, it’s little more than an idea — and some fresh paint and mock winglets on a Le Bourget museum piece.